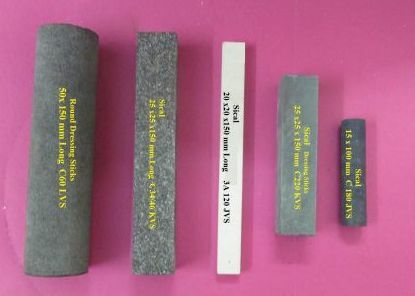 Silicon Carbide is used for manufacturing Wheel Dressing Sticks produces in order to add durability to them. The quality inspectors hired by us conduct rigorous checking of our Wheel Dressing Sticks in order to ensure their defect free delivery at the customers’ end. To meet demands of the large client base, we have taken an initiative to produce Wheel Dressing Sticks in bulk quantities.